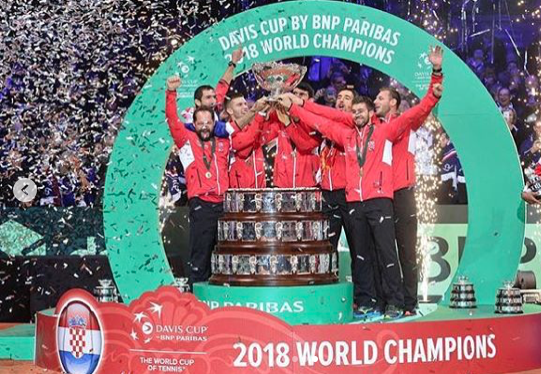 CROATIA: 2018 DAVIS CUP TENNIS WORLD CHAMPIONS!!! Marin Čilić handled Lucas Pouille in straight sets Sunday to avenge his 2016 Davis Cup disappointment to beat France and hand Croatia their second ever Davis Cup championship. It was a fantastic result to cap a year that will be forever engraved in Croatian sports hearts. France didn’t tuck their tails between their legs and let Croatia skunk them on home soil Saturday during doubles action. The French doubles team of Pierre-Hugues Herbert and Nicolas Mahut handled Ivan Dodig and Mate Pavić in four sets: winning 6-4, 6-4, 3-6, 7-6. That will keep the French hopes alive going into the final day of action Sunday where singles play resumes. World #12 Borna Ćorić made quick work of Frenchman Jeremy Chardy Friday afternoon in Lille in the opening match of the 2018 Davis Cup Final. Ćorić won 6-2, 7-5, 6-4 to give Croatia a 1-0 lead over France going into Marin Čilić’s match against Jo-Wilfried Tsonga. Marin Čilić did more of the same against Jo-Wilfried Tsonga – also winning in straight sets – 6-3, 7-5, 6-4. Croatia now have a stranglehold on the French heading into their doubles match on Saturday in Day 2. One more win and Croatia will lock up their second Davis Cup title. After a succussful Davis Cup campaign where Croatia have steamrolled past Canada, Kazakhstan and the United States – all on home turf – Team Croatia will take the show on the road this weekend for the Davis Cup Final against who else, but reigning champions France. Marin Čilić, Borna Ćorić and company will be seeking Croatia’s second ever Davis Cup championship after throwing it away in Zagreb two years ago against Argentina. Day 1 on Friday will consist of two singles matches in the best-of-five series. Borna Ćorić will open up the final against Frenchman Jeremy Chardy at 8AM (ET) with Marin Čilić vs. Jo-Wilfried Tsonga following them. A split in Day 1 should be considered a success but Čilić and Ćorić could easily win both of these matches to put Team Croatia in control for the rest of the tie in Lille, France this weekend. Tennis is a womens game, no one wants to talk about this. Tsonga is actually gonna play surprisingly. Anyway we are slight favourites but it won’t be easy. Got a feeling we will prevail tho guys ! Some of us support Hrvatska in all sporting endeavours, whether it’s football, tennis, water polo, handball, javelin throwing (remember Sara Kolak) or anything since we simply like to support Hrvatska; that’s who, ya silly fucker. There will never be another tennis era where Croats were engaged and into tennis as the 90’s when Goran was at his peek. Newly independent and Goran sporting the checkers after his matches…usually heart breaking losses in Wimbledon. To finally win it in 2001 as a wild card was classic Goran. One has to watch some of his old interviews to truly cherish why he was adored by so many. Coric hopefully Keeps improving and cilic has done well but he has the charm of a sloth. Iggy, don’t worry about troll losers. 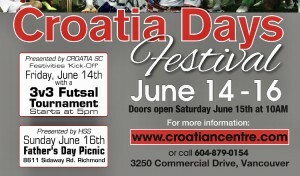 Real Croatians care about Croatians doing well in all sports. If you crap on Croatians in sports that Croatians care about, get lost. 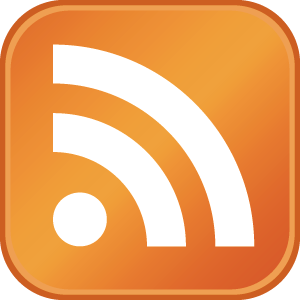 This site is croatiansports.com!!! Yeah that’s why tennis is so special, though. 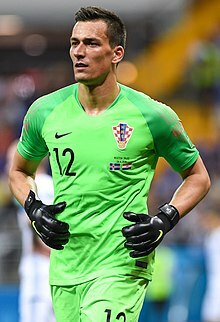 I still remember as a kid watching Goran playing on the tele when he had to represent Jugo that’s how long ago it was, but the stands were of course full of Croat flags. Cos back then, it was as much political statement as sporting event. And, like i said before, we’ve won grand slams in ’97 (women’s), ’01 and ’14; three major triumphs spanning a long period which is pretty good. What’s also important is – to quote the french before this day of play – this is the FINAL Davis Cup ever; at least as we know it. So if we win, we’re going to go down as the last ever champs before the ITF ruined tennis. But Iggy, you’re a communist, so those times watching Goran woulda been the best o’ times and the worst o’ times. The best watching Goran the Yugo represent, the worst seeing those Croatian flags instead of Yugo flags. Iggy. I’m with you I love tennis. 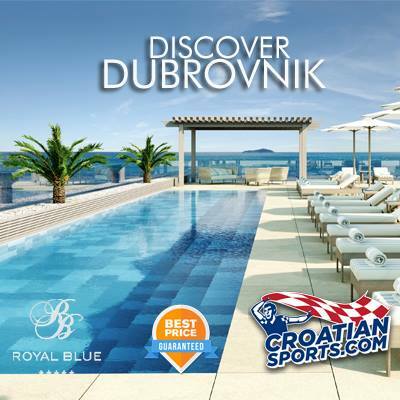 But all sports croatia excels in. Go Hrv! Whoever doesn’t like rowing or even better rowing heavy eights there is something wrong with you. Go see a doctor. I hate to sound like the downer here but I feel like we crumble like we did vs the Argentines and France wins this. Maybe it’s my superstition from the WC loss to France. Hopefully I am wrong. CP85 you are still just thoroughly conditioned to expect our guys to be ill-fated cos that’s how it always was and has been till this WC. But it’s over! Curse is broken dude! Relax we gonna do this for sure! I’m not sure about doubles, is a fifty-fifty, but i can 100% give a personal Iggy guarantee that at least one of Coric and Cilic will win on day 3 (if even required). Iggy are you awake ? What a game for Cilic 3-2 on serve ! Fellow Croatians from outside Croatia, come back home and be part of a winning country. You owe it to yourself. The scenery, weather and food are spectacular as well. Great ending too a great year hats off for Cilic Dodig Coric you can tell how much it meant too them glad too have Pavic join the crew for last ever Davis Cup. I must admit that I dont watch much Tennis but of course I love to see Croatia win at anything anytime. So we’ll go down in history as the LAST EVER winners of true Davis Cup! Kinda sad to see them cheapening it for next year but at least we’ll be known as the last ever true champs! Why no Thompson in the winners circle ? A pity that “team”format tennis gets nowhere near the recognition of individual play. Also our cro tennis players take over 2 million in prize money ..it’s not like federer or djokovic need and more money.